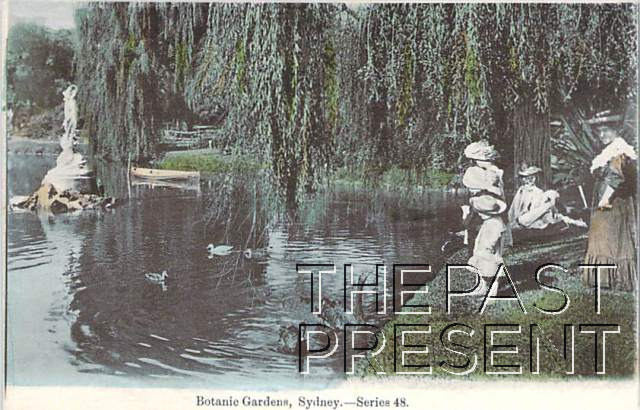 The image above is a charming glimpse into a family day out and about in Sydney’s beautiful Botanic Gardens. Where we might think of feeding ducks today, the water fowl which the children in this image are feeding are Australia’s native Black Swan. The black swan is an intriguing bird, native to many parts of Australia and an emblem associated with Western Australia. These large, majestic birds have long been popular in zoo’s and bird collections, and were also popular features of public parks like the Botanic Garden. Yet what is perhaps of most interest is what the phrase ‘black swan’ has come to mean. A black swan is a metaphor for an event or discovery which is unprecedented, unexpected and surprising but which in hindsight, really isn’t such a surprise after all. The phrase actually comes from the Latin and the oldest known use of the metaphor came almost a thousand years ago, in Juvenal’s line “rara avis in terries nigroque simillima cygno” which translates to “a rare bird in the lands and very much like a black swan”. At the time, and for centuries after, the only swans known were white swans, so it was assumed that the black swan did not exist. Then, in 1697, Willem de Vlamingh, a Dutch explorer, discovered black swans in Australia, proving they did exist after all. This came as a great surprise, but in hindsight many acknowledged that it really shouldn’t have been such a shock – just as other animals came in other colours, not all swans were white. Today, Black Swan Theory, as introduced by Nassim Nicholas Taleb in 2007 is well known, but it all traces back to these majestic if unexpected birds which are such a feature of the Australian landscape. This entry was posted in New South Wales, Sydney and tagged 1900s, 1910s, entertainment, leisure, parks and gardens, postcard collection, sydney.